My stomach is rumbling and I'm behind on work, and it's all George Lowden's fault! I WAS going to go to lunch after taking this delightful F-23C for a quick spin, but I got so lost in open G that I forgot to feed myself! While I may not have gotten my usual dose of afternoon calories, I got plenty of nutrition for ear drums and my brain from this Lowden. Personally, I find Lowdens with cedar tops to be especially inspiring. 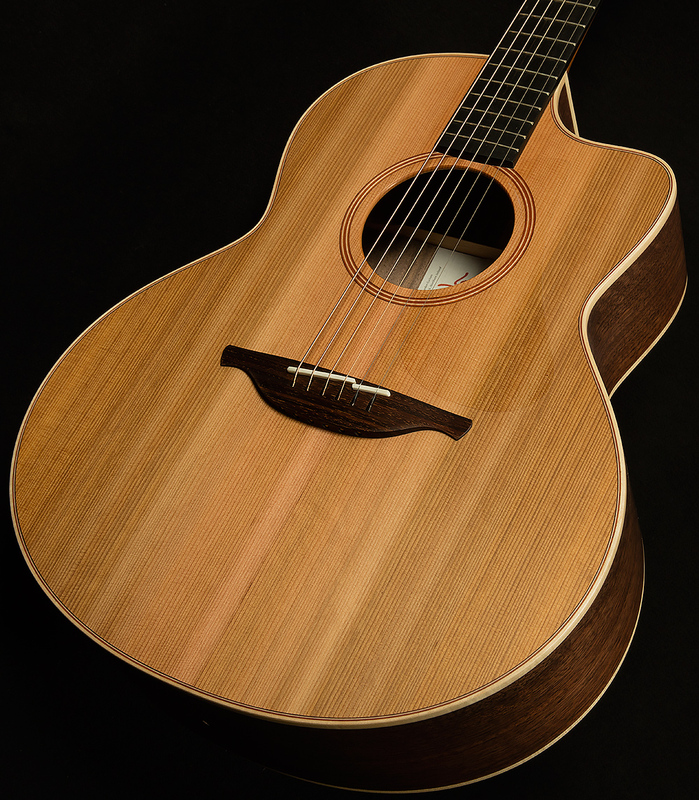 Cedar's warmth and dynamic response are a match made in heaven with George Lowden's signature voicing techniques. Sometimes, soft woods such as cedar can sound harsh when you pick too hard, or muddy when you play too soft. 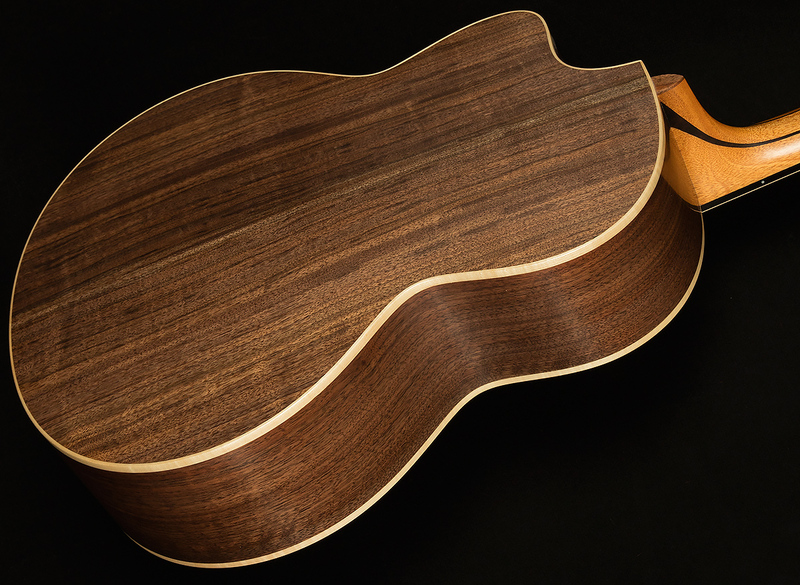 This particular Lowden sidesteps this sonic pitfall in spectacular fashion! It has a supremely articulate attack with a wide dynamic range, and it will catch every little percussive nuance within your right-hand technique. 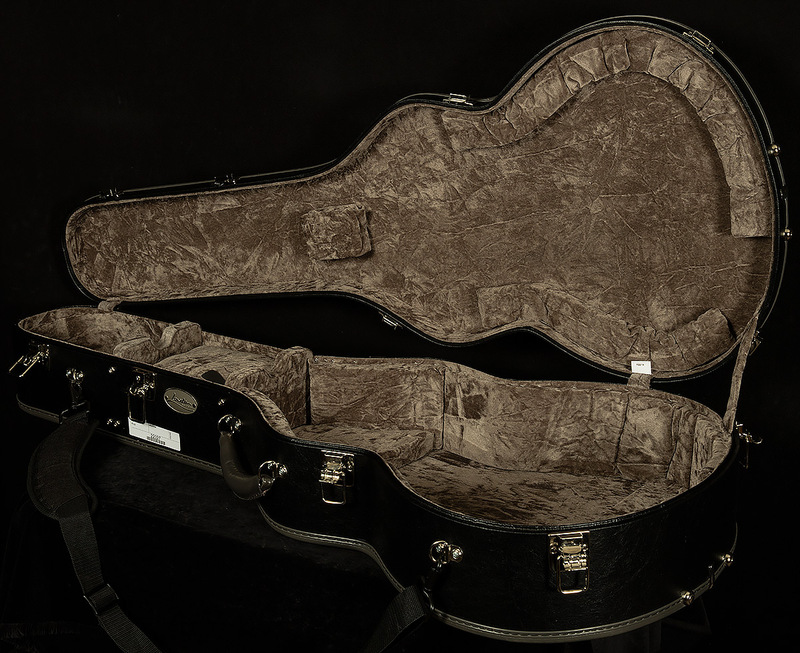 Nevertheless, its quite difficult to get this guitar to sound harsh, and the percussiveness is always quite pleasant to the ears--perhaps because the walnut back and sides mellow it out somewhat. Speaking of the walnut back and sides, they do a lot of heavy lifting here. 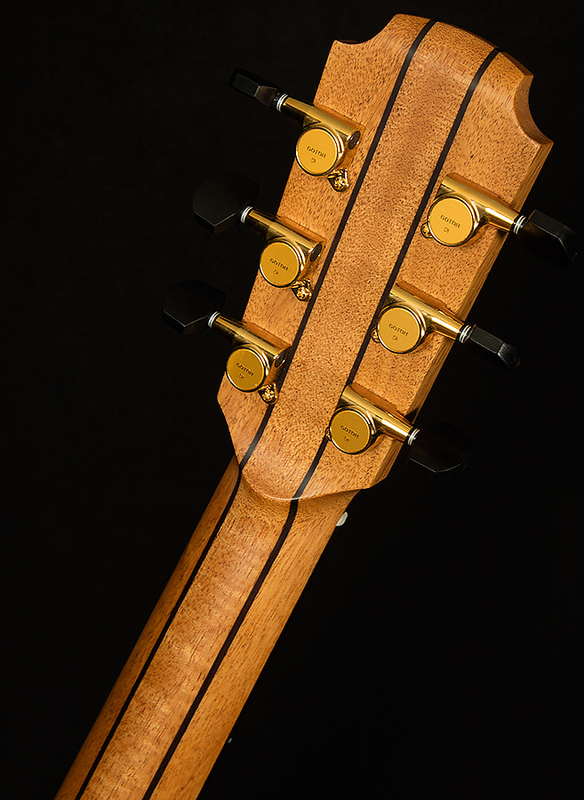 Because it's a more rigid wood, it has a bright, sparkly resonance in the trebles and more midrange presence. 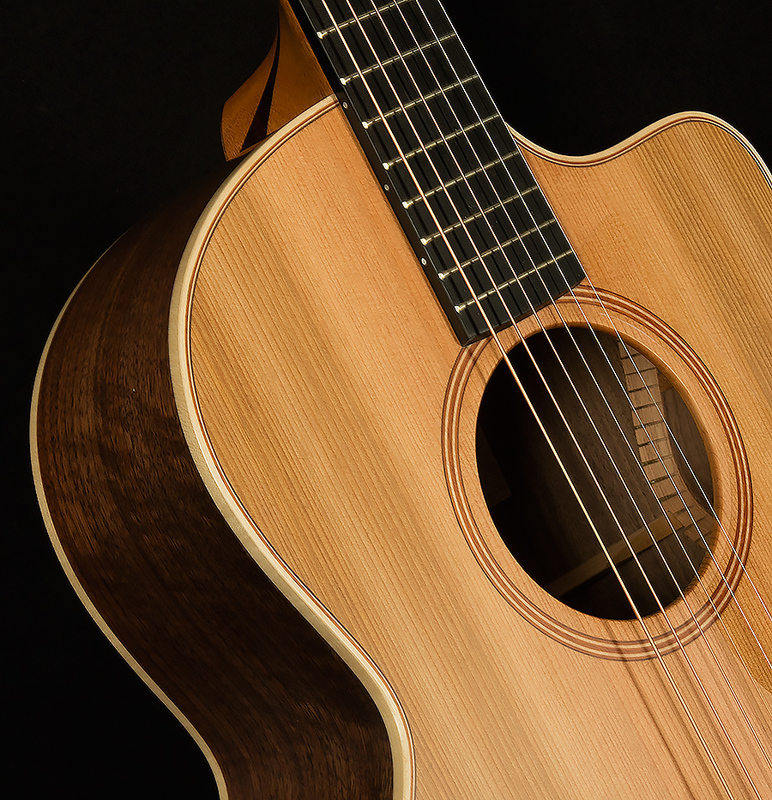 This harmonic response profile works in interesting ways with the cedar top. In general, cedar gets brighter and more focused when you hit hard, and it stays warm and open when you play soft. 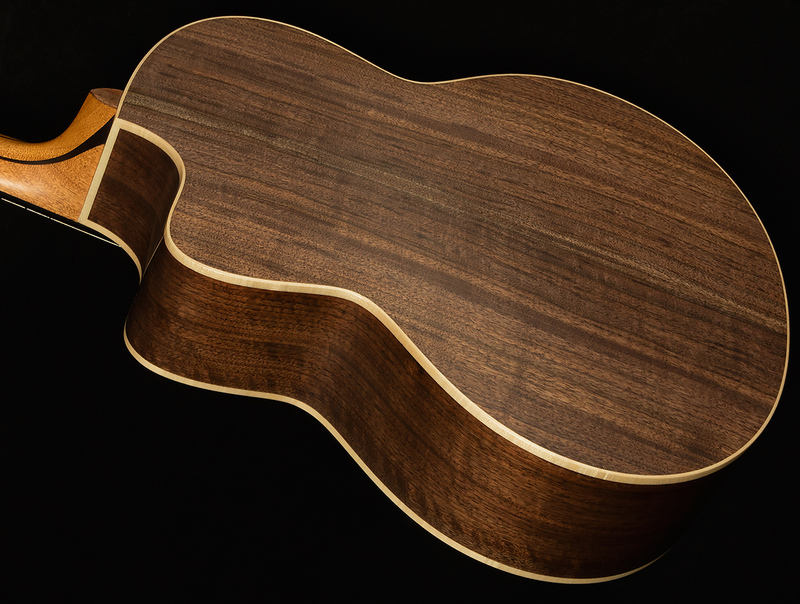 The walnut back and sides add needed high-end sparkle at low volumes, and they help keep the midrange broad and sonorous when you pick hard. 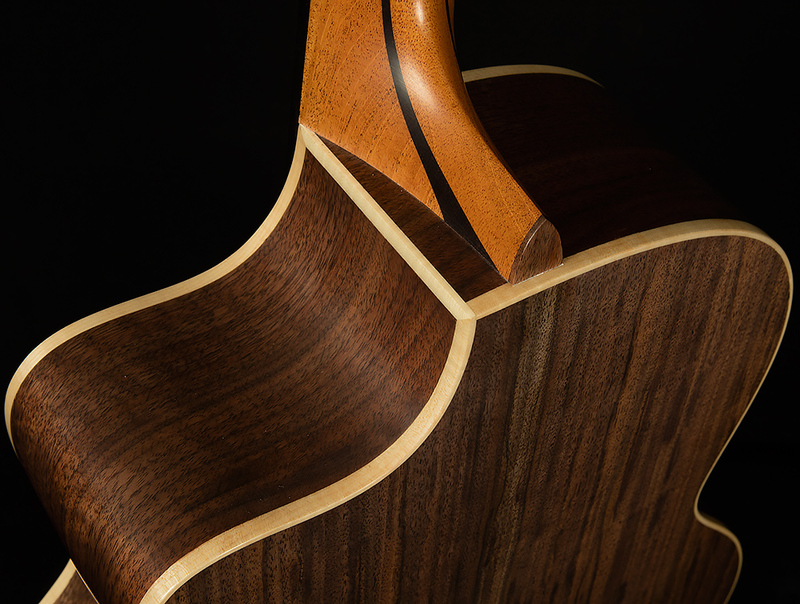 So, overall, this stellar combination of woods gives the guitar a clear, balanced voice that fills the whole harmonic spectrum. The lows hit like a 16" kick drum from a cocktail drum kit, the midrange is muscular but clear, and the highs have just the right amount of sparkle. 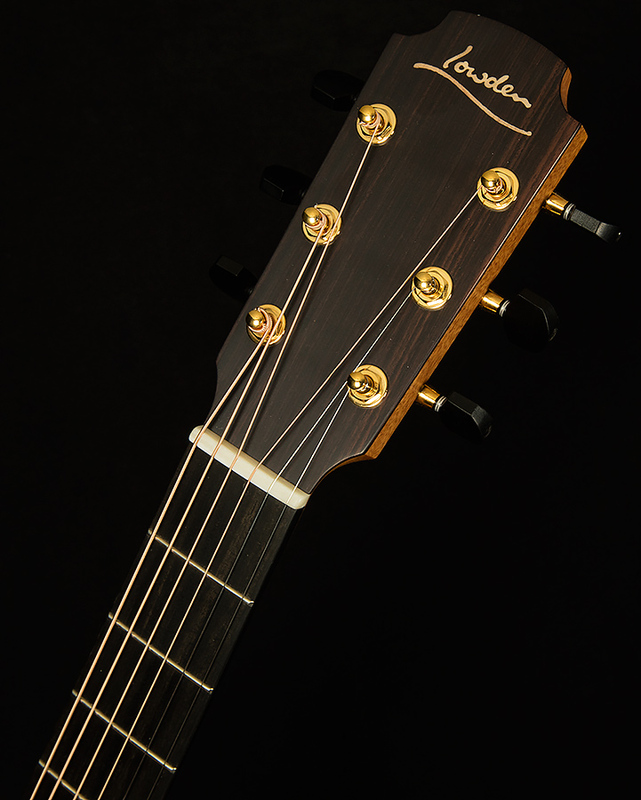 Any fingerpicker will find endless delight in this instrument because of its articulate voice, impeccable clarity, and excellent note separation. Tuning it to an open chord is a revelatory playing experience, but it also has the power to steal your lunch hour in standard. The Wildwood team is proud to showcase such an incredible instrument, and we hope you find it as inspiring as we do!